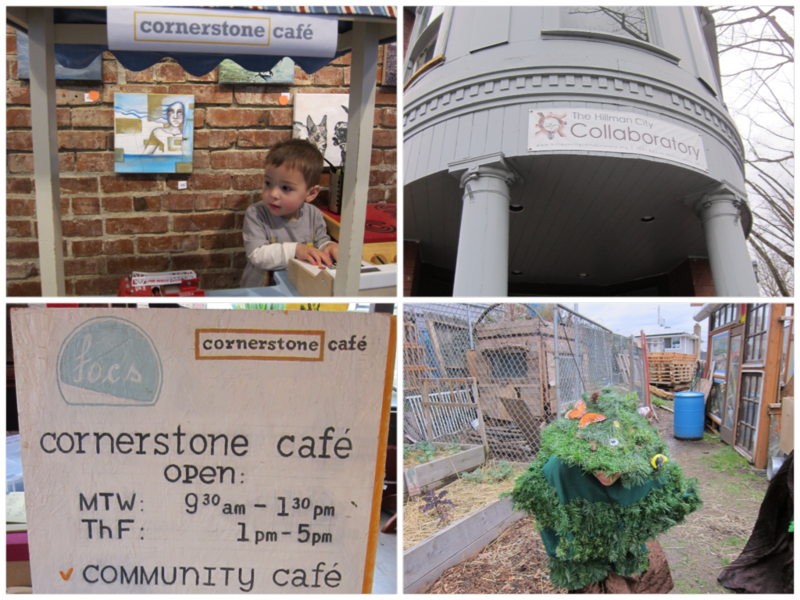 Nestled between Beacon Hill and Seward Park in South Seattle’s Hillman City neighborhood, Cornerstone Cafe is a recently opened community space housed within the historic Hillman City Collaboratory building. Overseen by the nonprofit Families of Color Seattle (FOCS), Cornerstone offers a unique blend of intercultural and multiethnic family programming and services, from a tot playspace to cultural arts classes and parent support groups. It even has a small garden behind the building. Hours: Play space hours: Monday–Wednesday 9:30 a.m.–1:30 p.m., Thursdays and Fridays 1–5 p.m.
“FOCS started as a community response for families of color to meet other families who are new parents and enjoy discussing race, identity, culture and ethnicity as we raise our children and share our common experiences,” says Amy HyunAh Pak, MSW, founder and executive director of the organization. 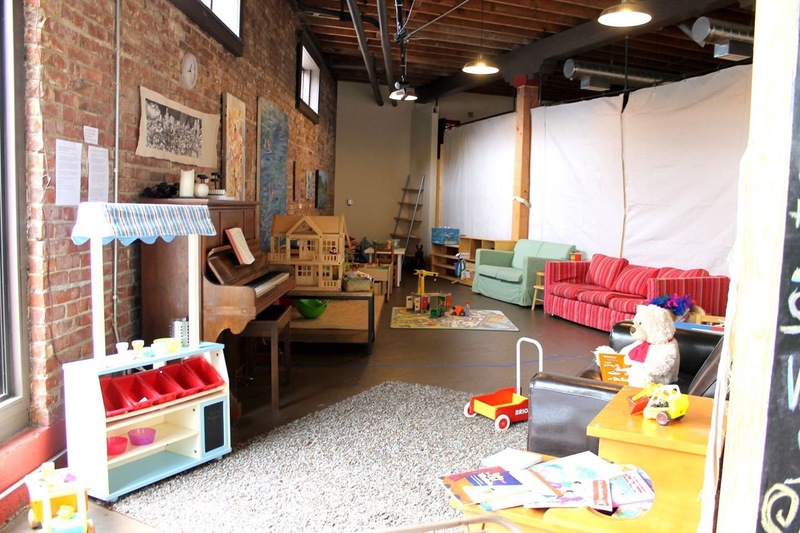 If you have kids up to age 6, the easiest way to access Cornerstone is via its play space, which parents and kids can drop by to use five days a week (see hours at right). The play area is set up and taken down each day in main room of the Collaboratory. Large canvas sheets and strategically placed shelves carve out a long, open space next to the windows and a wall covered in local art. Couches and sitting areas line the other walls, creating a general meeting and activity space. The day my 2-year-old son and I dropped in, he headed for the play area and especially for the overflowing bins of trucks. It's stocked with eco and retro toys, books, building sets and a dollhouse. Luckily for us, we were also treated to a storytime and bug-finding garden activity by the Talking Tree Program from the Seward Park Audubon Center that day. It’s clear that this organization is serious about offering unique experiences that foster cross-cultural appreciation. Despite the rise of escalating racial tensions in the news, at Cornerstone the emphasis is on the healthy development of ethnic and cultural identity as well as community building. A sampling of Cornerstone's offerings is below, but check Families of Colors' website for an updated events and classes calendar. Find the registration form for all programs here. Classes for kids are $15 to drop in or $110 for an eight-week series; $5 per class for siblings. (There is also a $20/year registration fee.) Scholarships are available. Free parent-supervised playtime (for 0-6-year-olds). Monday–Wednesday 9:30 a.m.–1:30 p.m., Thursdays and Fridays 1 p.m.–5 p.m. Drop by to use the free playspace during these times. Breakdancing and movement class (for 1–5-year-olds): Wednesdays at 10 a.m.
Brazilian Portuguese and capoeira (for ages 4–9 years): Thursdays 3:30 p.m.–4:15 p.m.
Hawaiian talk story and ukulele music (for ages 4–9 years to learn ukulele, but all ages welcome): Fridays 4–4:45 p.m.
Moms support groups, newborn or waddler (for ages 6 months—3 years): Eight-week programs, meeting two hours a week. $130/session. Dads groups: Free weekly play dates for dads.